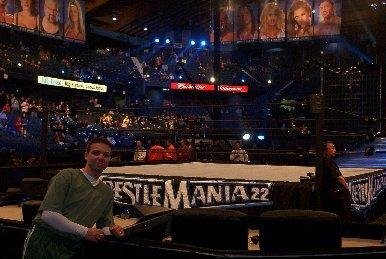 I thought I'd share a few of my favorite memories for those past trips, or WrestleManias to be more exact. There are fun times had that have nothing to do with Mania as well. 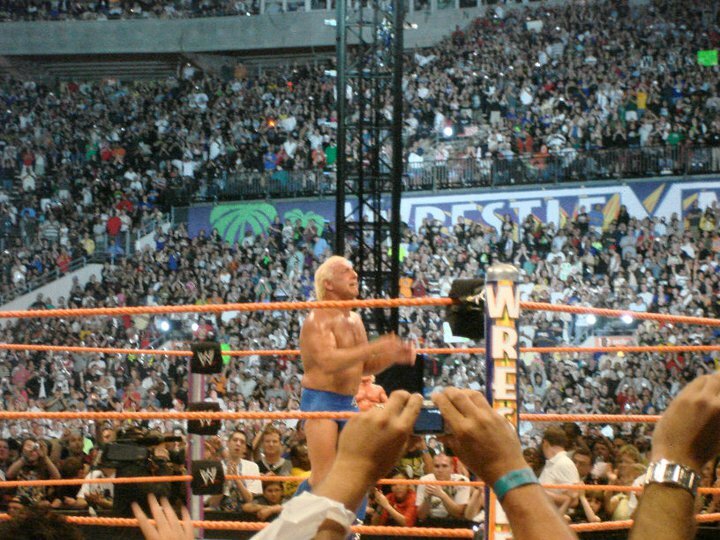 Ric Flair's retirement match was held at WrestleMania 24. We were there in Orlando for Naitch's final match in WWE. Despite the fact that he stepped back into the ring to wrestle for other companies, I still hold that match against Shawn Michaels as my favorite WrestleMania match I've seen in person. 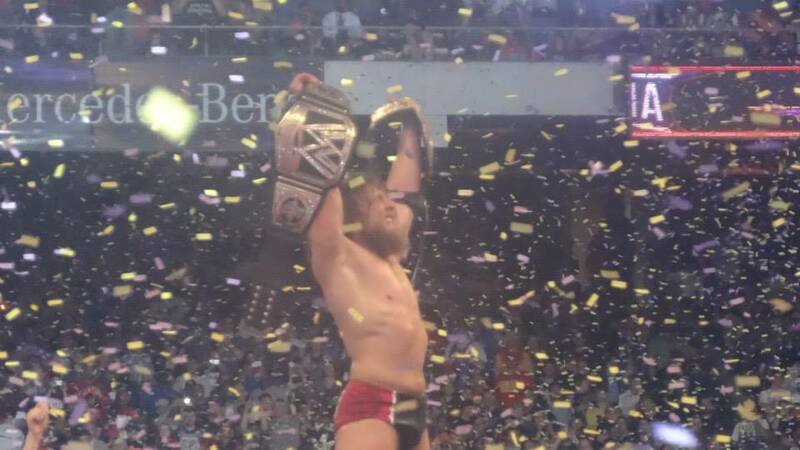 When Daniel Bryan finally overcame the odds and won the WWE World Title at WrestleMania 30, it felt like the start of a new era. His match that opened the show against Triple H was amazing. 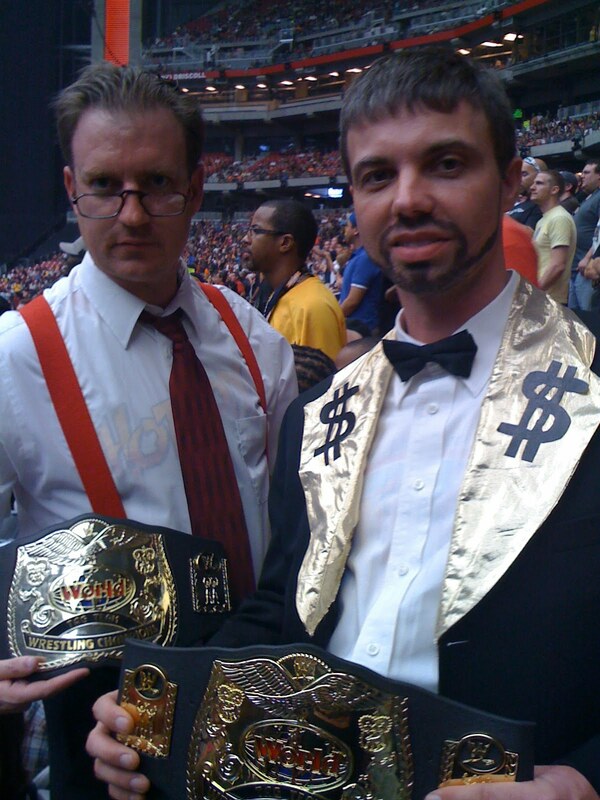 But then to go into the main event and beat Batista and Randy Orton for the gold was something special. I hold both of those matches in high regard too. That same night Brock Lesnar shocked the world and ended the Undertaker's undefeated streak at WrestleMania. It was a moment I never thought would happen. You could feel the life escape the Superdome that night as fans gasped in horror. At the time I didn't give it much thought, but the fact that we witnessed Edge's last match at WrestleMania 27 is something pretty special. A career full of injuries took their toll and he surrendered the belt and retired shortly after his defense against Alberto Del Rio. Nothing in particular for my final "best moment" other than the whole ambiance of being on hand at WrestleMania for the very first time. It was at the All-State Arena in Chicago and the last of the arena Manias. There's an indescribable amount of energy and electricity when in the crowd at any WrestleMania, but since this was the first, it was nothing short of awesome. A few others to mention, Shawn Michaels' retirement match against the Undertaker, Legends like Roddy Piper, Jimmy Snuka and Ricky Steamboat coming back to face Chris Jericho and getting the chance to see The Rock wrestle live (I'd only seen him as Rocky Maivia).